[S190] Index - GRO and Office of National Statistics, England & Wales Civil Registration Qtrly Indexes, Birth: District of Camberwell, Vol 1d, p865, 1Q1901, mother's maiden name EVANS. [S430] Census - 31 Mar 1901, UK census, ED 29 RG13-519 Folio 132 p26. [S190] Index - GRO and Office of National Statistics, England & Wales Civil Registration Qtrly Indexes, Death: District of Wandsworth, Vol 1d, p389, 4Q1905, aged 4. [S190] Index - GRO and Office of National Statistics, England & Wales Civil Registration Qtrly Indexes, Birth: District of St Olave Bermondsey, Vol 1d, p232, 3Q1908, mother's maiden name EVANS. [S871] FamilySearch, at https://familysearch.org/, FHL film 384904, ref v6 p197. [S1044] Census - 29 Sep 1939, UK Register, RG101/0093G/009/25, Letter Code: AEPP, Schedule 118. [S190] Index - GRO and Office of National Statistics, England & Wales Civil Registration Qtrly Indexes, Death: District of Bromley, Vol 11, p918, 2Q1988, aged 80. [S284] Index - New South Wales BDMs online, at http://www.bdm.nsw.gov.au, Marriage Reg. No. 7398/1895. [S877] Newspaper - Times of India, edition of 21 Jan 1895, Domestic Ocurrences. 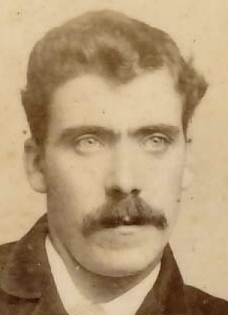 [S871] FamilySearch, at https://familysearch.org/, Ireland Births and Baptisms, 1620–1911, FHL 990092, parents James and Eliza GODLEY. [S938] National Archives - British India Office Records, Archive Ref: N/2/78, folio 37, Parish register transcripts from the Presidency of Madras 1698-1948. [S677] Index - England High Court of Justice, England & Wales National Probate Calendar, administration granted in London to John Cornwallis GODLEY, retired Indian educational officer. [S190] Index - GRO and Office of National Statistics, England & Wales Civil Registration Qtrly Indexes, Death: District of Surrey NE, Vol 5g, p442, 3Q1946 aged 85. [S190] Index - GRO and Office of National Statistics, England & Wales Civil Registration Qtrly Indexes, Birth: District of Camberwell, Vol 1d, p937, 4Q1889, mother's maiden name SNOW. [S178] Census - 5 Apr 1891, UK census, ED 25a RG12-491 Folio 86 p12 GSU roll 6095601. [S190] Index - GRO and Office of National Statistics, England & Wales Civil Registration Qtrly Indexes, Death: District of Taunton, Vol 23, p1335, 3Q1974, aged 75 (which should be 85, as birth date incorrectly entered as 1899). [S190] Index - GRO and Office of National Statistics, England & Wales Civil Registration Qtrly Indexes, Birth: District of West Ham, Vol 4a, p387, 2Q1896, mother's maiden name SNOW. [S1044] Census - 29 Sep 1939, UK Register, RG101/1065G/010/29, Letter Code: CCHK, Schedule 149. [S190] Index - GRO and Office of National Statistics, England & Wales Civil Registration Qtrly Indexes, Death: District of Waltham Forest, Vol 15, p1128, 4Q1980, aged 84, as Maud GOFF. [S190] Index - GRO and Office of National Statistics, England & Wales Civil Registration Qtrly Indexes, Birth: District of Greenwich, Vol 1d, p1009, 4Q1887, mother's maiden name SNOW. [S1044] Census - 29 Sep 1939, UK Register, RG101/1142A/004/2, Letter Code: CDPE, Schedule 20. [S190] Index - GRO and Office of National Statistics, England & Wales Civil Registration Qtrly Indexes, Marriage: District of West Ham, Vol 4a, p684, 2Q1911. [S190] Index - GRO and Office of National Statistics, England & Wales Civil Registration Qtrly Indexes, Marriage: District of West Ham, Vol 4a, p546, 3Q1921. [S190] Index - GRO and Office of National Statistics, England & Wales Civil Registration Qtrly Indexes, Death: District of Southend-on-sea, Vol 4a, p700, 4Q1951, aged 71. [S190] Index - GRO and Office of National Statistics, England & Wales Civil Registration Qtrly Indexes, Death: District of Essex SW, Vol 5a, p101, 2Q1958, aged 70. [S190] Index - GRO and Office of National Statistics, England & Wales Civil Registration Qtrly Indexes, Birth: District of St Mary Magdelen Bermondsey, Vol 1d, p91, 1Q1863, mother's maiden name ELLIS. [S1044] Census - 29 Sep 1939, UK Register, RG101/1845E/007/5, Letter Code: DJRA, Schedule 87. [S190] Index - GRO and Office of National Statistics, England & Wales Civil Registration Qtrly Indexes, Marriage: District of Whitechapel, Vol 1c, p695. [S581] London Metropolitan Archives, at http://www.ancestry.co.uk, Saint Stephen, Spitalfields, Register of marriages, P93/STE, Item 005. [S190] Index - GRO and Office of National Statistics, England & Wales Civil Registration Qtrly Indexes, Marriage: District of Hackney, Vol 1b, p667. [S581] London Metropolitan Archives, at http://www.ancestry.co.uk, Saint Peter, Hackney, Register of marriages, P79/PET, Item 015. [S190] Index - GRO and Office of National Statistics, England & Wales Civil Registration Qtrly Indexes, Birth: District of West Ham, Vol 4a, p418, 1Q1898, mother's maiden name SNOW. [S190] Index - GRO and Office of National Statistics, England & Wales Civil Registration Qtrly Indexes, Birth: District of Hackney, Vol 1b, p513, 1Q1886, mother's maiden name SNOW. [S190] Index - GRO and Office of National Statistics, England & Wales Civil Registration Qtrly Indexes, Death: District of Waltham Forest, Vol 5e, p1106, 4Q1972, aged 74.